My husband and I exchange Christmas gifts. During our 17 years of marriage we have chosen to NOT give each other gifts a few times…and I always regretted it on Christmas morning. I know that a lot of couples don't exchange gifts. I have heard a lot of reasons to not give gifts to your spouse…but I would like to share 5 reasons exchanging gifts with your spouse is important! This may sound very basic and maybe even kind of self-involved….why is it important to me that my spouse is thinking of me? I don't know about your house….but my house is busy and can be very chaotic. My husband works a lot of hours…we have a lot of things to THINK about! It is probably safe to say that many relationships are overlooked…at least judging by the number of divorces in this country. Knowing my husband is thinking about me makes me feel warm and happy inside! I try to pay attention throughout the year to what my husband points out that he likes or wants. It may be months until Christmas, but I will write it down or bookmark a website so that I can go back and get that item later. I can tell you that my husband has been very good about this over the course of our marriage. He will remember something I commented on…and at some point he will get it for me. You can read a story about some mud he gave me HERE. When he does this for me…it tells me that I am important to him…important enough for him to listen to what I like and REMEMBER! That makes me feel valued in our relationship. If you have never taken the Love Languages Test….do it today. 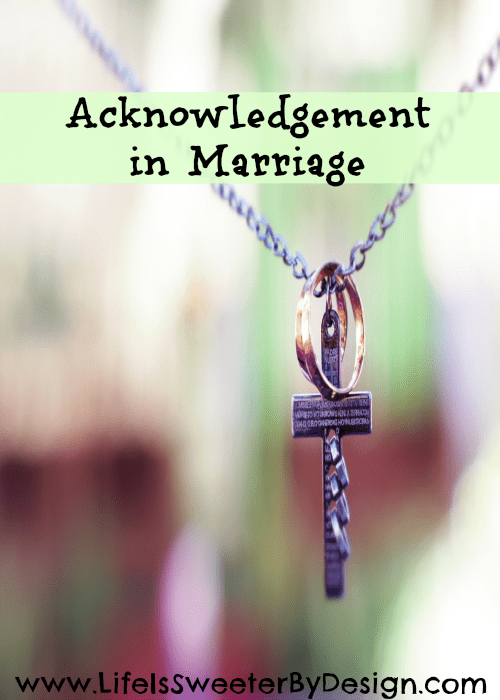 Go HERE and read more about what Love Languages are and why you need to find out what language you and your spouse speak. Basically, in a nut shell a love language is the manner in which you feel love…for me Receiving Gifts is my #2 language. So when my husband gives me a thoughtful gift that speaks LOVE to me very loudly! Speaking to your spouse in one of their primary love languages can really solidify the relationship. The book, The 5 Love Languages by Gary Chapman is one that every couple should read. Right now our home is full. Full of children and full of fun, laughter and joy on Christmas morning. I know that one day I won't be up late on Christmas Eve making magic for my children for Christmas morning. I will wake up on Christmas morning and it will just be me and my husband. It would be very depressing if we didn't exchange gifts. One thing I have always really admired about my in-laws is the romance and love they put into giving each other gifts. Christmas morning for them is a romantic and thoughtful time to be together. They really delight in making each other happy through gifts. I love giving gifts. Taking the time to find gifts I think my husband will love is something I enjoy doing. I like to find unusual gift ideas that he would never guess he is getting. It may be that your spouse also loves to surprise and delight you….but won't be able to do that if there is a “no gift” rule. Now…I realize that there are some caveats to this topic. The years that we chose not to give each other gifts were years that things were really tight financially. I wish that we had been more creative during those lean years…we could have done “coupon” books for each other…we could have each planned a date night and given that idea to the other person as a gift. There are lots of ways you can get around the financial reason for not exchanging gifts. You can set a price limit. You could only do stockings for each other. The list can go on and on. I am not going to sit here and tell you that I have loved every gift my husband has bought me over the years. 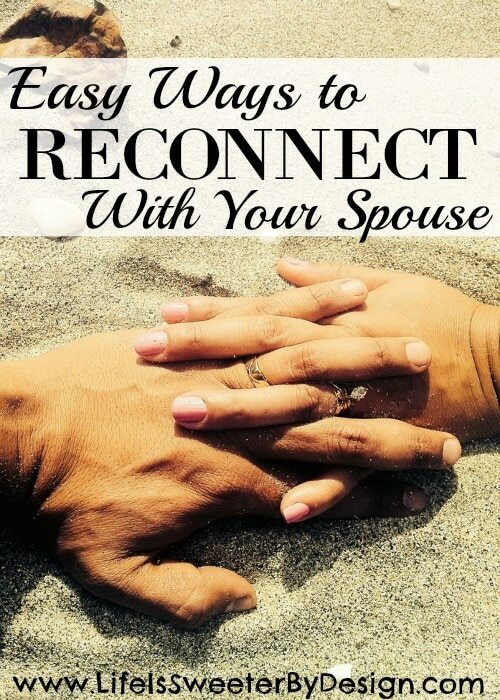 I haven't….but my husband and I agreed long ago that we would not get upset if someone wanted to return something. My husband has bought me clothing before and there have been items that I returned. Knowing he took the time to go out and look for something he thought I would like means the world to me. I really believe that ROMANCE is lacking in marriages today. I think that exchanging gifts…however small…can be a way to bring back some romance and thoughtfulness to many marriages. What are Your Christmas Gift Traditions With Your Spouse? I would love to hear about your traditions in this area….do you and your spouse exchange gifts? Do you think exchanging gifts with your spouse is important? Leave me a comment and let me know!! We chose not to exchange gifts- not at Christmas, not on birthdays and on our anniversary we go do something together- may just be dinner or it may be a weekend to NY…it just depends on the year and our schedules. We made this decision because we don’t materialize our relationship…might sound strange, I know 🙂 We’ve never been into showing our love with presents or gifts- but rather by our time and attention. For example- I’m lying in bed now fighting a cold and just hearing my husband giving our 4 kids baths, making their lunches for tomorrow, helping with homework because he knows I do not feel good is worth more than any gift at Christmas. Every couple has to do what is best for them! Thanks for sharing what works for you! !